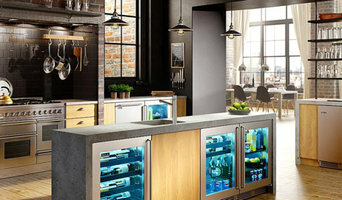 Supplier of major household appliances to Pacific Northwest homeowners, builders and remodelers. 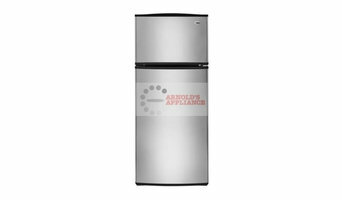 Arnolds Appliance offers a wide selection of major brand appliances. We offer the largest selection of wood, gas, and pellet stoves and fireplaces in the Kitsap area. 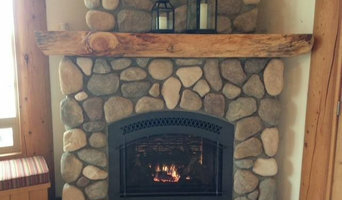 Custom Hearth also specializes in outdoor kitchens, fireplaces, and fire pits. Please visit one of our two locations in Port Orchard and Poulsbo to see, touch and imagine the beautiful products we have on display, in your home or backyard. Luwa is a family owned company headquartered in the heart of the Pacific Northwest. Luwa Luxury Products is the premier distributor of luxury home appliances and outdoor living products. Through our retail partners, our goal is to give you access to some of the world’s finest products. We can make your visions come to life with the brands that deliver the best performance for your lifestyle with the highest level of service for your needs. Visit the Luwa Studio in Bellevue, Washington to test drive the finest products on the market and receive expert knowledge and guidance for your indoor and outdoor kitchen. Whether you or your designer are seeking guidance on your dream project or you want advice on the best ways to take advantage of your Luwa products, Luwa is here for you from start to finish. In addition to our world class products, Luwa offers detailing and cleaning services for your indoor and outdoor products as well as cooking demonstrations, corporate events and trainings. Metropolitan Appliance (formerly Direct Buying Service) has been local family-owned and operated by Jim, Jeff, and Aaron for over 60 years; specializing in appliances and plumbing fixtures for upper-end, middle-market and economy-level homes and offices. Chances are you're going to be living with your new appliances for a long time. We want to make sure that you're satisfied with the entire purchase process - from design, model selection and ordering to installation and follow-up service which we will provide. Our experts will assist with design and planning of your new residential or office construction, remodeling or appliance replacement; giving you the most value for your purchase. Professional delivery, installation and haul-off of your old appliances is just a part of our complete service. All products come factory fresh with full manufacturer's warranties. We work with many of the area's top architects, contractors, builders and property managers; and can offer the most current products available. As a member of the Nationwide dealer network we are able to buy in large quantities; thereby assuring you the best competitive prices in town - guaranteed! Frederick's Appliance is located in Redmond WA. We are a top retailer in our area and we work hard to offer a great selection at great prices. If you are shopping for appliances, we promise to make your visit an exceptional one. On the eastside for more than 40 years, we have a passion to serve our clientele. Please visit our warm, friendly no pressure atmosphere showroom soon. Once inside, you will be able to review many appliances "live" in operation. We welcome you to bring in a uncooked prepared dish and "test drive" cook it in our many live multi brand ovens. A very unique opportunity in our industry. Available to you, right here in Redmond! To ensure you get the best possible price, we belong ( and have for 26 years) to the largest buying group in the nation. Please read excerpt from our Marketing group. "Nationwide Marketing Group (NMG), headquartered in Winston-Salem, NC, is North America’s largest buying and marketing organization for independent major appliance, consumer electronics, and home furnishings dealers. Larger than all competing groups combined, NMG has over 3,500 members with more than 10,000 store fronts representing a combined $14 billion in buying power. Nationwide Marketing Group, the parent organization of RentDirect Nationwide and Specialty Electronics Nationwide, offers a unique portfolio of services designed to support its members and strengthen their position in the marketplace. Visit us online at www.nationwidegroup.org." Stop in soon, you won't be disappointed. Judd & Black is a locally owned and family operated independent appliance and barbeque store with six locations in Snohomish, Skagit, and Whatcom Counties. Our mission is to be and remain the best quality shopping and service experience for the customers we service, while being a first class community minded neighbor for all. We are members of the nation's largest buying group that enables us to offer our customers great values and low prices. Low prices and unmatched service before, during, and after the sale is what makes Judd & Black outshine our competition since 1940. Ario’s patented combination of features specifically and uniquely to support your body clock while providing beautiful light. We have improved upon technology that has previously been very complicated and expensive, making it available for businesses and homes. Our cloud-connectivity enables a wide array of features that can expand over time. At Bradlee, we understand that the kitchen is the heart of any home. That’s why our Showrooms offer a hands-on experience with professional-grade appliances like Sub-Zero, Wolf, Cove, Asko and Best – allowing you to see, touch, explore and ultimately, select the right ingredients for your kitchen in a pressure-free environment. Talk to a Bradlee Kitchen Expert today about a private demonstration, or sign up for an event on our Culinary Calendar. If it’s time to build your dream kitchen, let us help you create a place where you’ll build a lifetime of moments worth savouring. Sub Zero Viking Repair is a professional refrigerator services company. We specialize in the repair and maintenance of Sub Zero and Viking brand refrigerators and freezers, We serve both residential and commercial customers in the greater Seattle, WA area. Mt Baker Mercantile was founded by Amazon veterans in 2008, as a certified Amazon Seller company offering high quality home and garden products from trusted brands. Since opening in 2009, Mt Baker Mercantile has maintained a record of reliable fulfillment and exemplary customer service, reflected in our 100% positive feedback rating. Established in 1940 and still family owned and operated. We have become Pierce County's largest and oldest independent appliance dealer. We still emphasize the beliefs and values that our founder Louie Weir felt were important over 69 years ago! Quality brands, quality products, competitive pricing and customer satisfaction. If you are building, remodeling or need to replace that old energy guzzling appliance….We carry all the latest ENERGY STAR® rated models available designed to save you electricity, water, gas and money! Visit our spacious showroom featuring live cooking kitchen displays with many of the industry's best known brands – Try before you buy! In the city of Seattle, autos are a fundamental piece of life. Dissimilar to urban areas like New Yorkwhere trams control transportation, Seattle is an auto cordial city. that is the reason you require a tried and true locksmith like shoddy locksmith Seattle. We have you canvassed in everything managing key substitution and opening entryways. We have what it takes and have been prepared for more than 20 years to help you with getting once again into your auto. Don't be caught trying to disassemble your own washing machine or replacing your fridge's fan belt. These are jobs meant for appliance professionals - and they worth every cent. Home appliances do break down and thankfully, many of them an be repaired with a minimum of fuss. The main challenge is to find a reputable tradie in Seattle, WA who will carry out your washing machine repairs in good time and for a reasonable fee. Your Washington appliance professional might handle any or all of the following jobs: selling, installing, repairing and upgrading both small and large appliances. He or she can advise you on the right equipment for your Seattle, WA home, from features to finishes, and is usually in the know about the latest technological advances and bells and whistles. When appliances hit a snag or start to show their age, a pro can advise you whether to repair or replace them, then carry out his or her recommendation. 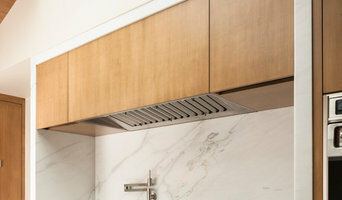 Some appliance professionals in Seattle work closely with Seattle, WA builders, renovation contractors, and kitchen and bath designers, among others. Here are some related professionals and vendors to complement the work of appliances: Kitchen & Bathroom Fixtures, Kitchen & Bathroom Designers, Kitchen & Bath Renovators, Specialty Contractors, Building Project Managers. Find an appliance professional on Houzz. Narrow your search in the Professionals section of the website to Seattle, WA appliances. You can also look through Seattle, WA photos to find examples of rooms with appliances you like, then contact the professional who worked on them.